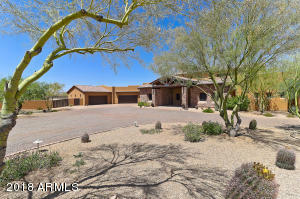 Handsomely updated with a fresh and open feel, this Boulders home is move in ready and has zero interior steps. 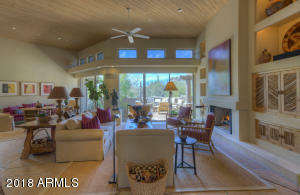 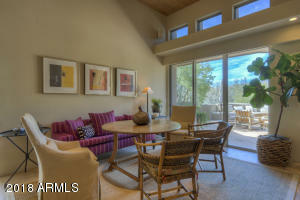 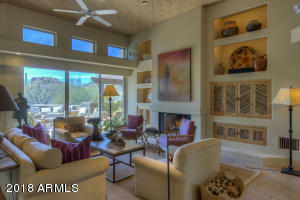 Great room with floor to ceiling windows and new flagstone flooring throughout. 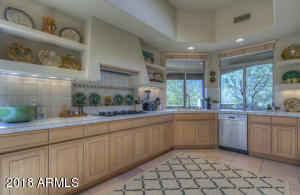 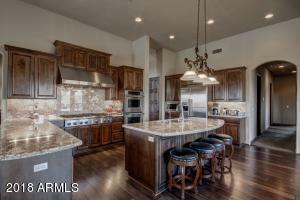 Sophisticated eat-in kitchen with open cabinets, double Bosch ovens, gas cooktop and double sinks. 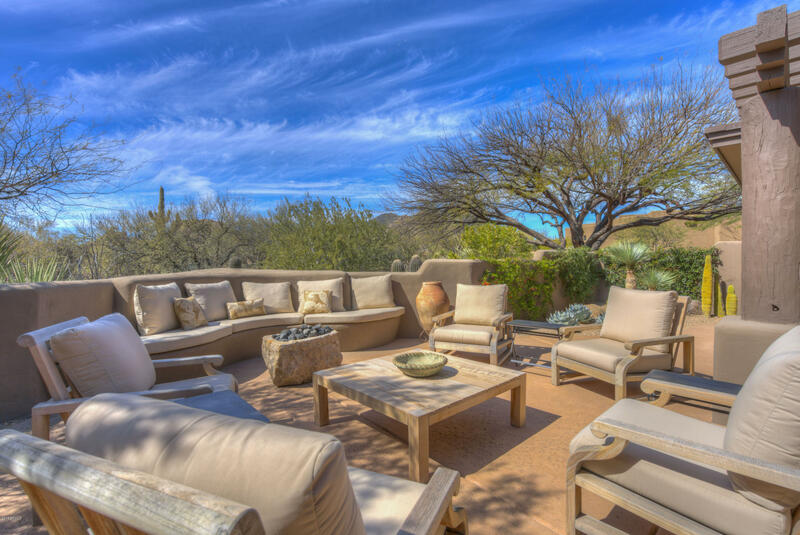 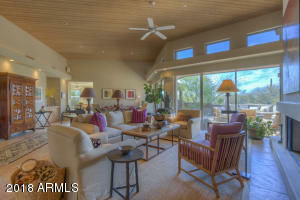 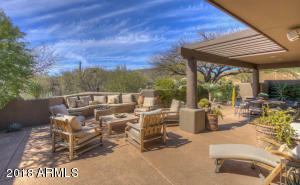 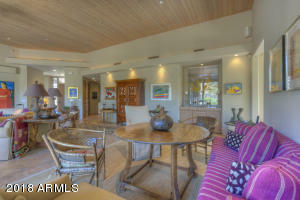 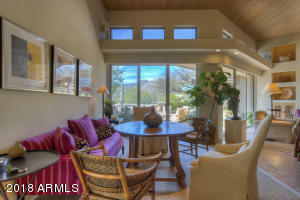 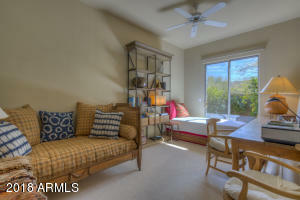 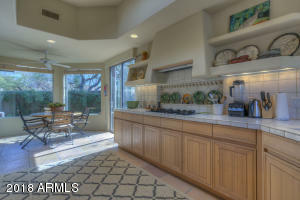 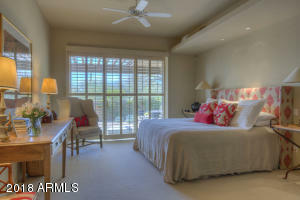 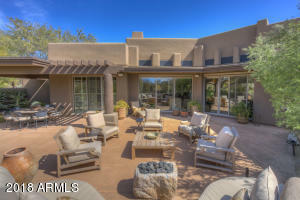 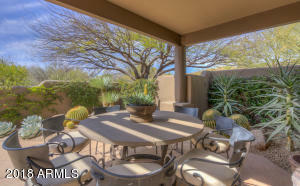 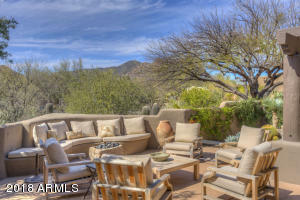 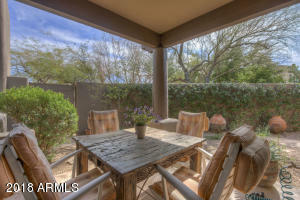 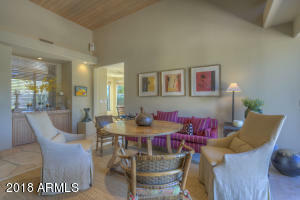 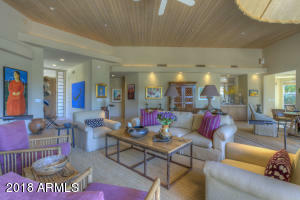 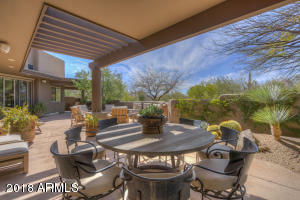 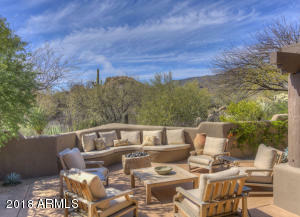 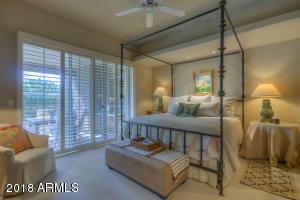 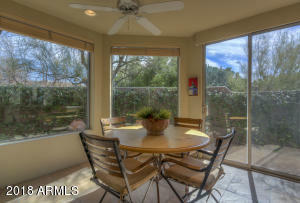 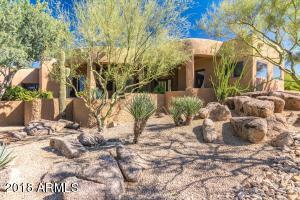 Numerous outdoor spaces for dining or sitting by the fire, updated lush landscaping and 8 saguaro cactus in residence. 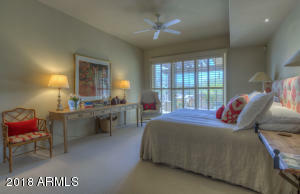 2 master suites with large walk in closets, each with en-suite bath and open to garden patios, bonus room that would make a great office space or den. 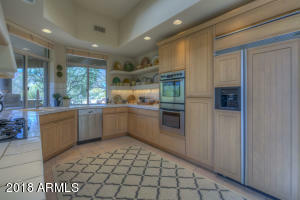 2 car garage with ample storage. 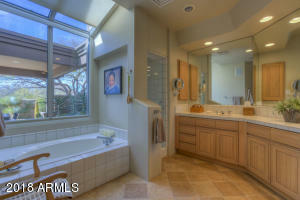 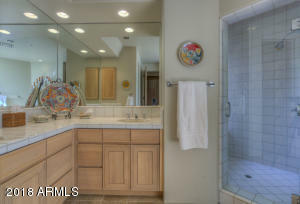 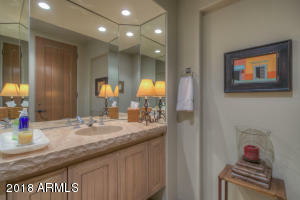 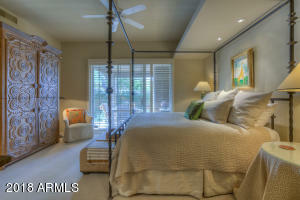 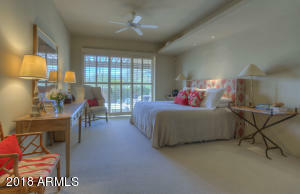 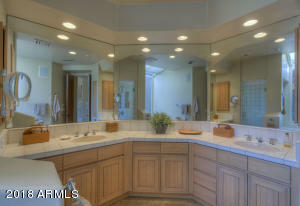 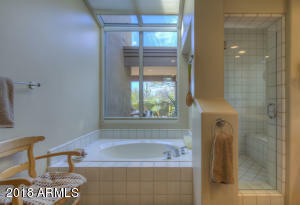 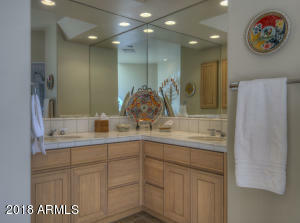 Located in the heart of the community, adjacent to nature path with access to resort amenities. 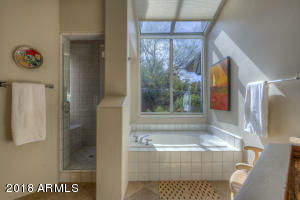 Newly painted, new AC units and new roof, no detail has been overlooked. 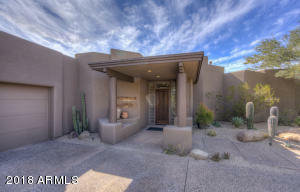 From Tom Darlington, enter through Boulders Main Gate. 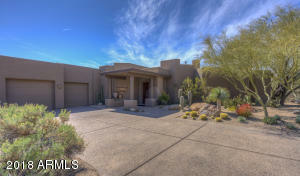 Continue on Clubhouse Drive - left on Boulder Parkway - Left on Club Villa Circle to home.